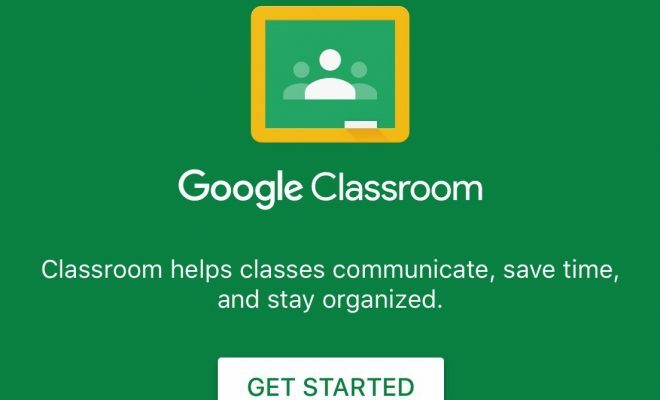 Are you new to Google Classroom and looking for more efficient ways to use the platform? Don’t worry; we have you covered. In today’s tip, we will discuss 150 smarter ways to use Google Classroom. Accident Report Forms – Create accident report forms in a faculty Classroom for teachers and coaches to report accidents to the office quickly. Book Reviews – Have students create book reviews using Google Docs or Slides to share with peers and the teacher. Booster Clubs – Utilize a Classroom for school booster clubs. Organizers can post events, announcements, and fundraiser information to the classroom to keep members informed. Brochures – Create brochures in Google Docs by using tables and images. Choose Your Own Adventure – Create Choose Your Own Adventure activities with Google Forms, Slides or Docs. Classroom Newsletters – Create class-level newsletters with Google Docs, save as a PDF, and upload to Classroom. You can also have students create newsletters as part of an assignment. Classroom Rewards – Keep track of student rewards through Sheets or Docs. Announce reward winners on Classroom. Color-by-Number – Create color-by-number activities for students using Google Sheets. Color Folders – Stay organized by color-coding Classroom folders in Google Drive. Right clicking on the folder will bring up options for changing colors. Comic Strips – Have students create comic strips using Google Slides. Communicate with the Class or Multiple Classes at One Time – Classroom can be utilized to communicate with one class or multiple classes at one time by choosing recipients in the “For” drop-down menu. Connect with Experts – Since Classroom has no boundaries, it can be used to connect with experts in any content area. Invite experts to become a part of your Classroom or assignments. Content Area Inventories – Students can create content inventories by documenting their thoughts on specific content areas and uploading them to Classroom assignments. Contests – Classroom can be used to conduct online competitions or contests for your class or school. Control How Students Interact with an Attachment – Teachers can choose how a student interacts with an attachment. There are options for students to have editing access or viewing access. There is also an option for students to get individual copies of the attachment if collaboration is not needed. Convert PDFs and Images to Text – Through OCR technology, Google Docs can convert PDFs and images into text. Just open a PDF document in Google Docs for the conversion to take place. Convert Uploaded Files to Google Docs Editor Format – In Google Drive Settings, choose “Convert Uploaded Files to Google Docs Editor Format” so that Word, Excel, and Powerpoint files will automatically be converted into a Google Doc when uploaded. Create Group Norms – Have Classroom members curate and refine group norms directly through Classroom collaboration. Display Student Work – Display student work while keeping students anonymous. Dissertations and Theses – Create a Classroom for college students who are completing theses and dissertations. It not only provides a means for collaboration between advisor and student but also provides a forum for students to ask questions and assist one another. Dramatized Problem-Based Learning – Students ask questions to identify and resolve a problem from a picture book or novel that they read while also engaging with the people involved in the problem. The artifact can be submitted to the Classroom with Google Slides, Google Docs or video. Duty Schedule – Create a duty schedule with Google Docs or Sheets and share with teachers through Classroom. Dynamic Visualizations – Use Google Sheets to create dynamic charts and graphs which automatically update. e-Books – Have students create eBooks using Google Docs or Slides. Utilize third-party applications for publishing. Emergency Procedures Handbooks – Create and distribute Emergency Procedure Handbooks using Google Docs and Classroom. Employee Warning Forms – Develop an employee warning form which can be privately shared with employees through Classroom. ePub File – Create an ePub file by using the “download as” feature in Google Docs. ePub files can be read on tablets or smartphones. Escape Rooms – Create digital escape rooms in Classroom. There are many resources on the web for digital escape rooms. Explore Tool – Use the Explore tool in any Google Docs, Sheets, and Slides to see related information and images from your document or the web. Export from SIS – Several SIS apps will allow you to auto-create Google Classrooms and auto-sync class rosters from student information export data. Exposure to Online Courses – Google Classroom is a great way to expose students to an online learning environment before they get to college. Extension Lessons – Post extension lessons for students who have already mastered the content or for early finishers. Field Trip Reports – Have students bring cell phones on a field trip to access field trip schedules, meeting points, or report documents. Filter Email – Filter Gmail to avoid a cluttered inbox. Set filters to what’s most important for your needs. First-Person Experiences – Have students take on the identities of people actively involved in an event or era they have chosen to research, and create a monologue which can be recorded as audio or video and uploaded to Classroom. Flashcards – Use Google Sheets along with third-party extensions to create digital flashcards. Food Logs – Have students create and/or complete food logs in Classroom for health projects. Footnotes – Have students add footnotes into a Google Doc as part of a research paper. Formative Assessments – Create formative assessments to check for student understanding. Self-grading formative assessments can be created by asking a new question in Classroom using the multiple choice option, with Google Forms, or with third-party apps which integrate with Classroom. Fundraiser Collection Logs – Create fundraiser collection logs using Google Sheets which can be shared with all teachers who lead organizations or sports. Gather Volunteers – Use Classroom to get volunteers for class, school, or community activities. Generic Answer Sheets – Create generic answer sheets for students in Google Forms which can be submitted directly to the teacher in Classroom. Geocaching – With mobile devices students can complete geocaching lessons via Classroom. Just upload the necessary instructions, and students can have a fun, engaging activity outside of the classroom. Global Pen Pals – Have students connect with students in another state or country utilizing Gmail. Google Chrome – Using the Google Chrome browser makes Classroom even more useful. With hundreds of add-ons and extensions available in the Chrome Web Store, options for Classroom are almost limitless. Go Paperless – Put everything in Classroom to go completely paperless. Grade Level Classes – Create grade-level classrooms for teachers to collaborate or for all students in a grade level to work. At the high school level, think about creating a Classroom for each grade level which could be utilized for grade-specific information such as ordering senior jackets, senior rings, school pictures, etc. Guardian Summaries – Invite guardians to receive daily, weekly, or monthly summaries on what’s happening in the class. Guest Lecturers – Invite guest lecturers into your classroom. Utilize third-party apps for a live feed of the lecture or use Youtube for pre-recorded lectures. Help Lists – Create help lists for students who need extra assistance on a topic. Students can sign up on the list through Classroom using Google Sheets, Docs, or Forms. Ice Breakers – Use Classroom for icebreaker activities with students or teachers. Incident Reporting – Create a Google Form that can be used by administrators to report incidents to supervisors. Jigsaw – Use the jigsaw strategy to assign students to read different parts of an article or document in Classroom. Journals – Have students keep an online journal for personal reflections, literature, or any other topic of interest. Keep Lessons Current – With Google Classroom, lessons can be updated on the fly. Just log in and update the content to keep your lessons current. Keep Students Organized – Using Classroom can help students stay organized without a backpack full of papers. Keyboard Commands – Use keyboard commands to move through the grading tool more effectively. The arrow keys or tab button can be used to move through student work without taking your hands off the keyboard. Live Finance Data – Get live finance data using Google’s finance functions. Leave Request Forms – In a teacher Classroom, provide leave request forms for teachers to complete when they must be out of the classroom. Living Vocabulary – Have students include images on a slide with vocabulary words. The image allows students to develop a stronger connection to the word. Lyric Summaries – Have students, in small groups, list what they think is the most important information they have learned. Each group uses their list to write a summary which becomes the new lyrics to a song the group has chosen. The group then sings and records a video or MP3 their Lyric Summary, and uploads to the Classroom. Make Sure All Students Participate in Questioning – The question feature in Classroom makes it easy to ensure all students are participating in questioning. Just glance at the question to see how many students have answered. Make-Up Work – Absent students can access make-up work from Classroom. Media Rich Research Paper – Students can incorporate any type of media in a research paper created in Google Docs including images, video, and text. Meeting Minutes – Record and upload meeting minutes to Classroom for any organization. Membership Information Forms – Create and upload membership information forms for group members. Mentor Text Link Collection – Provide mentor text links for students in Google Classroom by uploading the links as Materials. Menus – Create menus for student choice or as a student-based project using Google Docs or Slides. Model Work – Post model work and examples for students to see. Modules – Create modules or unit lessons in Classroom by using the topics feature. Naming Conventions for Classes – Create a naming system for Classes so classes you teach can be easily located. Narrative Reports – Create a narrative report or document a student’s progress through descriptive summary or overview rather than a report card. The narrative report details skills, behaviors and learning goals mastered. Add to the report as the year progresses. Upload artifacts to Classroom for storage in Drive. Needs Assessments – Use Google Forms to develop needs assessment surveys for your class, school, or district. Note-Taking – Use a collaborative note-taking method for students. You may also consider including graphic organizers for note-taking. Notifications – Personalize notifications to meet your needs and determine the method of receiving notifications. Observation Data Collection – Use Classroom along with Google Forms and Sheets to collect teacher observation data. Observation Forms – Create teacher or student observation forms in Google Forms and upload to Classroom. Observe Another Class – Ask a teacher to add you to their Classroom to see how they teach and organize the class. Online Course – Create a course which is entirely online for homebound students or students who can’t fit the course into their schedule.Online Reading Tracker – Create an online reading tracker using Forms or Sheets. The tracker can be set up to automatically tally how many books a student has read or AR points. Oral History Project – Create a long-term project in which students research the personal history of an individual of their choice and create a Google Slides presentation which includes artifacts, a feature article, a personal memoir, and a photograph. Final projects can be uploaded to Classroom. Order Forms – Create order forms for school apparel and spirit items sales using Google Docs or Google Forms. Organize Lessons – Use the Move to Top/Move to Bottom feature to organize lessons into a logical order for your class. Classroom also allows you to organize lessons into topics. By the end of the year, you’ll have an organized outline of your entire course. Organize Research – Google offers many ways to stay organized with research. In Google Slides, use the explore tool to find images or web results, and use the speaker notes section to copy hyperlinks to later create the works cited page. Plagiarism Checks – There are several online apps and extensions which check for plagiarism. Find one that best suits your needs. Post Daily Agenda – Post your daily agenda as an announcement in Google Classroom or use a Google Doc for an ongoing list. Post Daily Learning Targets – Post daily learning targets as an announcement in Google Classroom or use Google Docs, Slides, or Sheets for an ongoing list. Post Multiple Choice Questions – Use the question feature on the Classwork tab in Classroom to post multiple choice questions at any time. Post Short Answer Questions – Use the question feature on the Classwork tab in Classroom to post short answer questions. Pre- and Post- Observation Reflection Forms – Create pre- and post-observation reflection forms for teachers. These can be uploaded as an assignment in Classroom and used to help teachers improve professional practice. Pre-Assessments – Create pre-assessments for students before beginning a new lesson to check for prior knowledge and to guide teaching. Press Conferences – Have collaborative groups research a given topic. Peers act as the audience and raise questions as if they were participating in a press conference. Have students record audio or video and submit to Classroom. Remember, that you must create each collaborative group in Google Classroom. Progress Monitoring – Create forms for monitoring student progress which can be downloaded for data analysis. This can be used for students with learning or behavioral disabilities as well. Protected Sharing – Prevent collaborators from sharing your document with others by changing settings to “prevent editors from changing access or adding new people.” You can also change settings to prevent others from downloading, copying, or printing your files. QR Codes – Create individualized QR codes in Google Sheets. Quick Writes – Ask students write what they know about a specific topic which can then be used to determine a starting point for teaching, to evaluate student learning, and to plan future lessons. This can be done on a collaborative Google Doc in Classroom or with individual documents which students upload to Classroom. Randomly Select Students – Android users can randomly select students using the random name selector tool in the Android Classroom App. Non-android users can download third-party extensions which randomly choose students. Rapping for Review – Have students collaborate in groups to write rap songs to express their knowledge and thoughts about the content they have learned. The group then sings and records a video or MP3 of their rap and uploads to Classroom. Real-Life Examples – Incorporate images and videos into lessons to provide real-life examples for students. Reduce Cheating – Easily assign different versions of an assessment by choosing which students receive each version the test. Remediation – Assign remediation for struggling students. Reserve Equipment – Create Google Forms for staff and students to reserve equipment. Reset Class Code – Reset your Classroom code whenever warranted by navigating to the Settings menu. RSVP to Events – Respond to Google Calendar Events with the click of a button. You can also add notes to the RSVP. RTI Classroom – Create a Response to Intervention Classroom which provides intervention resources and provides a place where teachers can seek assistance with student interventions. Save Slides as SVG – Feeling crafty? Save Google Slides in an SVG format for use with electronic cutting tools. Scantrons – Create electronic scantron forms using Google Forms. Scavenger Hunts – Send students on a digital scavenger hunt based on your content area. Schedule Posts – Schedule posts to publish on a future date and time. Scheduling Forms – Counselors can create scheduling forms using Google Forms for students to select courses for scheduling. School Announcements – Post school announcements in a school-wide Classroom. School Maps – Post school maps in your Classroom for new students. School Newspaper – Create a school newspaper using Google Docs. Seating Charts – Create and post seating charts for students or substitute teachers. Self-Updating Spreadsheets – Create spreadsheets which self-update using functions in Google Sheets. Send Reminders – Send reminders to students or teachers by making an announcement in Classroom. Service Learning Program – Use Classroom to manage student-led service-learning projects that correlate what is being taught and what is going on in a student’s community, including institutions, literature, history, cultural history, etc. Set Office Hours – Set office hours by turning off notifications when you get home and turning them back on in the morning. Share to Classroom Extension – Download the Share to Classroom extension for Google Chrome to push websites to students in Classroom. Sharing Expirations – G-Suite users can set an expiration date and time on sharing through Google Drive. Showcase Students of the Week/Month – Highlight students who have gone above and beyond in the class by creating an announcement or uploading a document to showcase their accomplishments. Sign-In Sheets – Create digital sign-in sheets for meetings. Sign-Up Sheets – Create online sign-up sheets for parents and students to use for conferences, activities, research topics, intramurals, etc. Socratic Seminars – Create digital Socratic Seminars in Classroom through the question feature or by using a collaborative Google Doc. Streamline Workflow – Google Classroom works seamlessly with other Google tools and hundreds of apps to help anyone and everyone streamline their workflow. Study Skills Classroom – Create a Classroom which focuses on helping students with skills for more efficient studying. Summative Assessments – Create summative assessments for all students in a specific course. Summer Assignments – Create summer assignments for students through Classroom. Survey of Prior Knowledge – Use Google Forms or Google Docs to survey students for prior knowledge before beginning a new lesson. Surveys – Conduct surveys for a class, the school, or the district. Syllabus – Create and upload your class syllabus as a Material in Classroom. Tables for Younger Collaborators – Create Google Docs with tables to make collaboration more accessible for younger students. Each student is assigned a portion of the table to post their responses. Teacher-Created Assessment Collection – Use Classroom to collect teacher-created assessments. Teacher Mentor Classroom – Create a Classroom in which new teachers are paired with mentors. Veteran teachers can post helpful information or assist new teachers with difficult tasks. Technology Assistance Form – Create a Google Form for teachers to request technical assistance. Templates – Create templates for projects, essays, and other student assignments. Test Corrections – Make sure to return student work, so students regain their editing rights to the document. Students can then correct mistakes. Test Prep – Create a Classroom where students can access prep materials for standardized tests such as the ACT or SAT. Track Attendance – Track student attendance with a Google Sheet. Track Participation on Collaborative Documents – Easily view who participates on a collaborative document. Translation – Use Google Translate for English Language Learners in Classroom. You can translate the entire Classroom or web pages with the Google Translate extension, or use the translate function in Google Docs. Tutoring – Create a Classroom for students to request and work with tutors. Upload Files from Multiple Sources – Upload files from your computer, Google Drive, YouTube, or websites. Version History – See the version history of a document and revert to a previous version if needed. Voice Typing – Google offers an embedded speech-to-text tool known as voice typing which can be found under the Tools menu. Voting – Use Google Forms for voting on recess games, snacks, class roles, and any other topic you may want your students to vote on. Walkthrough Data – Use Classroom to collect walkthrough data to improve teacher and classroom effectiveness. Web Pages – Create class web pages by downloading a Google Document as an HTML file. Website Evaluation Form – Create a Google Form to help students evaluate websites. Include important questions the student needs to answer to determine if the website is reputable or not. Word-Finds – Use Google Sheets to create word-finds for students or have students create the puzzles themselves.